The attention of the office of the Senator Representing the good and hardworking people of Lagos East Senatorial District has this morning 22ND February, 2018 been drawn to a news item published on an online news blog known as “Society Now” and captioned “AGAIN TALKS GBENGA ASHAFA INTERESTED IN BECOMING NEXT LAGOS GOV FLOAT ABOUT TOWN”. 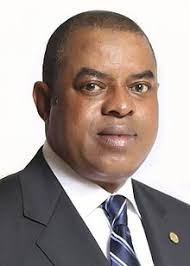 The Distinguished Senator Gbenga B. Ashafa hereby uses this medium to reiterate his support for the government of his Excellency, Governor Akinwunmi Ambode and to state that he is firmly focussed on his assignment as the Senator representing the people of Lagos East Senatorial District in the upper chamber of the Legislature. Senator Ashafa is equally committed to supporting the brilliant strides of the incumbent Governor of Lagos State and would continue to support him accordingly. It is pertinent to state at this juncture that only last week, on Friday 16th February, 2018, Senator Gbenga Ashafa used the medium of his address at the closing ceremony of the Entrepreneurship Training and Skill Acquisition program for constituents of Lagos East by his office in conjunction with SMEDAN to further publicly drum up support for the government of Governor Akinwunmi Ambode, noting the good works of the governor particularly in the aspect of youth empowerment. You would also recall that Distinguished Senator Gbenga Ashafa equally played a very vital role in rallying the Lagos East General Assembly of the All Progressives Congress to ensure that a vote of confidence was passed on government of His Excellency, Governor Akinwunmi Ambode during the General Assembly which held in Ikorodu on 4th of December, 2017 under the leadership of Otunba Bushura Alebiosu (BUSH). At the General Assembly, Ashafa was quoted to have hailed the exemplary leadership of the Governor and also that the present developmental projects in the state should be allowed to continue, describing Ambode as the most effective Governor in Nigeria. It has therefore come to the Distinguished Senator as a surprise that any news medium would contemplate the possibility of him contesting against the candidacy of Governor Akinwunmi Ambode in the 2019 general elections. Senator Ashafa hereby urges the good people of Lagos East and indeed all Lagosians to continue supporting the Government of Governor Akinwunmi Ambode and also wishes to make it abundantly clear that he is currently focused on his assignment as the Senator representing Lagos East Senatorial District in the National Assembly.